Dordogne, Lot et Garonne and Gironde. These areas lie in south-west France east of Bordeaux but within 1.5 to 2 hours' drive of the beaches of Les Landes, which are reached through attractive pine forests. This is not a region to appeal to those wanting busy holiday areas with all the razzamatazz of night clubs. Its great attractions lie in the beauty and peace of the countryside, the attractive valleys of the great rivers of the Dordogne and the Garonne and smaller rivers such as the Dronne. The famous vineyards of the area are a joy to walk through and the fertile land is well-cultivated with many drops, the sunflowers being a special attraction. The area is also renowned for its excellent food and wine which can be enjoyed at the many good restaurants. 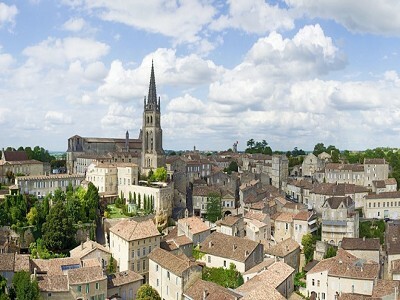 Bergerac is the nearest main town and offers excellent shops and a wealth of history. Bordeaux, another ancient port famed for its wine trade, has the main airport for the area which is about 1.5 hours' drive from La Roquille and has regular flights to the UK taking around 1.5 hours to London. The Pyrenees are within four hours' drive for weekend visits. In the 14th century, missiles would have been flung from the three pointed towers of the Valentré bridge, still standing in Cahors. 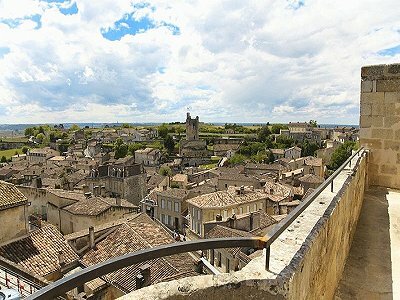 Legacies of the era abound - domed fortified churches, more than a thousand castles, and new towns with arcaded squares called bastides built on the French and English front lines. Domme and Monpazier are the loveliest. The traditional rural architecture, in sun soaked limestone crowned with roofs of canal tiles or black stone is among the imaginative in France. Dovecots and dry stone shepherds' huts dot the landscape. The rivers offer safe, clean beaches for swimming. 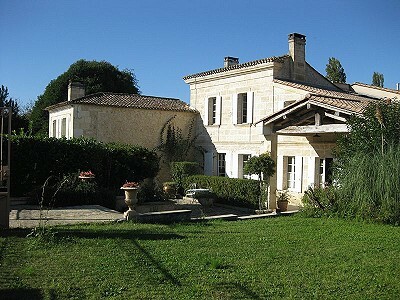 Towns and large villages all have swimming pools or man-made lakes, tennis courts and boulodromes for a round of boules. River ports hire out canoes or kayaks, the most spectacular way to see the Dordogne. Walking and riding trails wind through the woodlands, and new golf courses open every year. There are various festivals including on the first Sunday in July - La Félibrée folk festival held annually in a different village.